Germany, Corina Zolle - "A lot of people are afraid to leave their protected environments in institutions"
In Germany people must pay for personal assistance themselves, until their income and assets are almost exhausted, unless they have insurance cover. “You can have a maximum of 2600 Euros in assets and retain from your income each month 800 Euros plus enough money to pay your rent.” says Corina Zolle, who has employed her own personal assistants for 20 years. “Compared with Germany, Sweden is a paradise.” She adds. 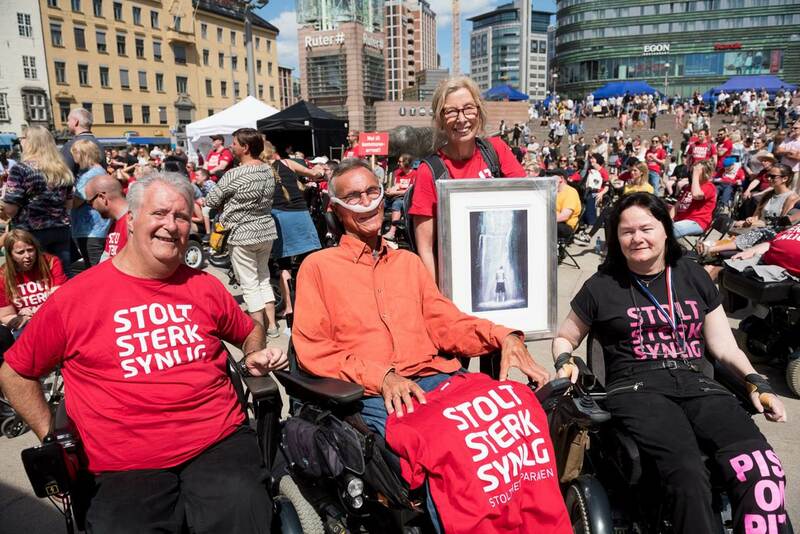 of the Liberal Party (Folkpartiet), describes the Swedish Act concerning Support and Service for Persons with Certain Functional Impairments (LSS), puts it in context with other Swedish legislation, and reflects on its societal costs and benefits. The reform utilizes direct payments for freedom of choice, self-determination and personal responsibility and, in this way, differs from traditional Swedish welfare politics where state agencies typically combine the functions of needs assessment, financing, quality control and service provision. Mr Westerberg, who credits the Swedish Independent Living movement for introducing the concept of direct payments for personal assistance to Sweden, succeeded in getting the legislation approved by Parliament during the country's deep economic crisis at the beginning of the 1990's. In Sweden, his personal pride in the legislation he authored is well-known. In early 2010, Halmstad District Court handed down three judgments and several people were sentenced to prison for benefit fraud. These cases involved people pretending to be disabled, as well as other types of crimes, such as tax evasion and fraudulent timesheets that also figured in the subsequent discussion. In 2011 about 20 assistance companies were investigated, and two more people were convicted in February 2012.http://assistanskoll.se/20120209-Dom-mot-agare-till-assistansforetag-i-Halland.html. Eunice Ya-Yu Kao, Taiwan - "Those who can pay have migrant care workers as assistants"
Institution, home care or migrant care workers are the options available for people with disabilities in Taiwan. Migrant care workers come from other Asian countries and work under difficult conditions. Since 2008, however, inspired by Japan, there is one user cooperative with about ten assistance users. Persons with the exactly the same disabilities can have completely different lives depending on where they live. In some countries there are policies and attitudes that allow us to develop and follow our interests, get education and work, meet friends, marry and have children. In other countries, people with disabilities may have to live with their parents or in institutions, with little contact with the outside world, with no or only simple work.